Chelsea is one of the fortunate few to be born and raised in the Okanagan. She lived in Calgary for a short stint while she did her graduate studies in Counseling Psychology. Soon after her return, Chelsea began working at Visionfirst Optometry in April 2015, and quickly fell in love with “eyes”! 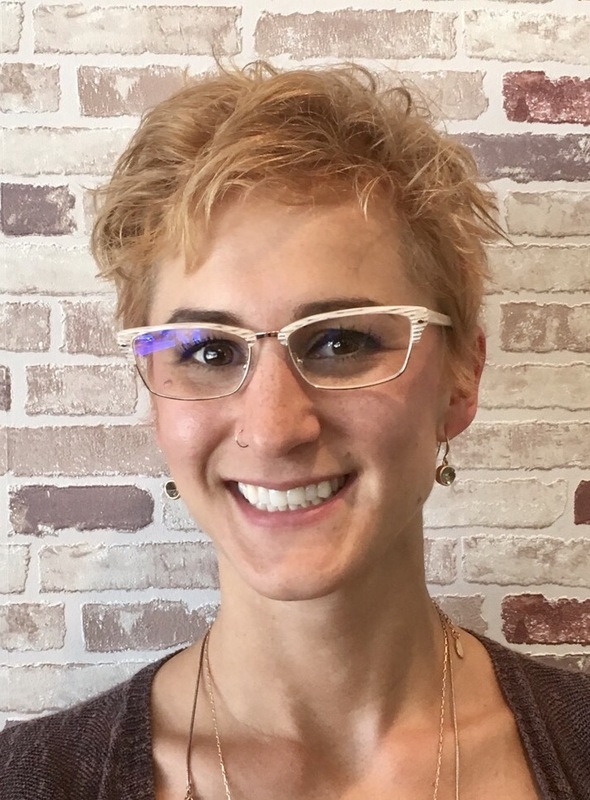 She loves being able to help people achieve better vision through fun frame choices and finding the right lens option for their vision needs. After only 2 years in the industry, she has earned her Canadian Certification as an Optometric Assistant (CCOA). In her spare time, Chelsea practices Brazilian Jiu-Jitsu and enjoys bike rides around Kelowna with her husband. She is always ready to try something new, especially outdoor adventures such as swimming, zip-lining, boating, nature-walks, snowboarding, snow-shoeing, anything really! Chelsea and her husband were married in January 2017 and spent part of their honeymoon at the Wizarding World of Harry Potter in Orlando, Florida … you could say Harry Potter is their favourite book/movie series, which is fitting since round frames are all the style rage right now too!